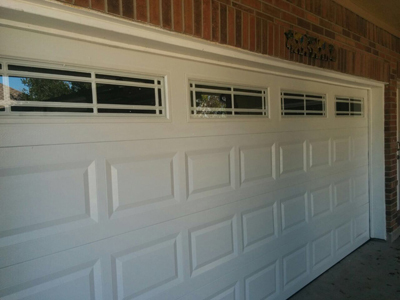 Learn how to keep garage doors functional and avoid accidents with these amazing tips. 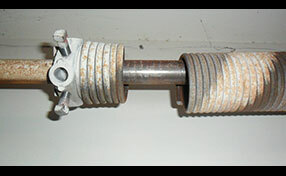 This is crucial in the case of wood and metal garage doors. It is best to use paint which is resistant to water and which can protect the material from decay and rust respectively. You should paint the door on both sides. Repainting every two or three years is essential since the paint looses its properties due to its exposure to the elements. Since it is often difficult to figure out where the issue comes from, the specialists in garage door repair Happy Valley recommend running a simple test. You have to pull the emergency release handle to disconnect the motor. Then you need to open and close the door manually. If it is still acting strangely, the issue is with the other parts. It is well-known that the track is one of those garage door parts which cannot stand lubrication, say our professionals in Happy Valley. In that event, any lubricant will not contribute to the proper functioning of the track. In order to keep it in good working conditions, you must clean it thoroughly. If your family is leaving home for the holidays, make sure that all your security measures are up, especially when it comes to your garage door locks. You may also take advantage of a timer switch, an alarm system, and motion detectors to deter criminals. If your remote is working well and yet your garage doors still do not open, professionals at Garage Door Repair Happy Valley advise you to make sure that it is plugged to a power outlet. Check to see if the lock feature was not activated. Another way would be to reset the garage door opener. Unplug it to reset the entire system.